Smart watch with short battery life is one big issue which still hasn’t been sorted out. Onyx Chinese Company is trying to bring a solution by using e-ink screen. The company is well known for the digital reading devices they have manufactured and now they are trying to implement the same technology to unveil a new smart watch. 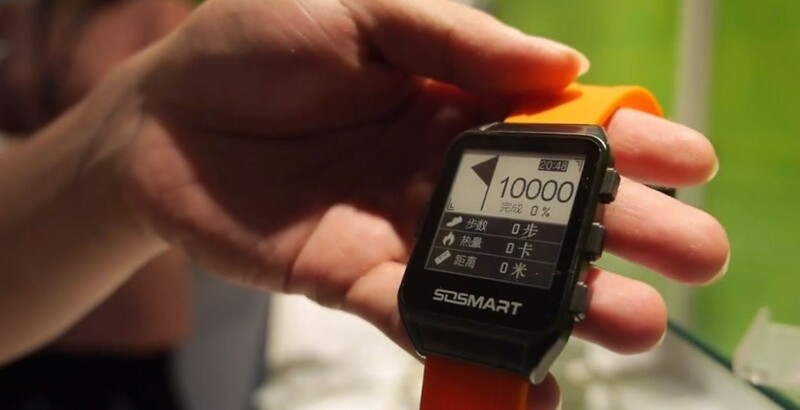 We have seen the pebble smart watch using E paper display which is similar technology. The benefit of e-ink screen is that it consumes battery only when watch is refreshed which means a better battery life. The company hasn’t still named the device and are planning to unveil this prototype next year. It got 1.56 inch screen and is waterproof. It syncs with the smartphones using Bluetooth and comes with in built apps like pedometer. It uses a magnetic charger just like in most of the waterproof smart watches. Control consist of three buttons on the side and the company claims the future generation could have a touchscreen display, GPS and other features. If you’re looking for stunning display with touch screen sorry to disappoint you but if you want a smart watch with better battery life its worth waiting till 2015.